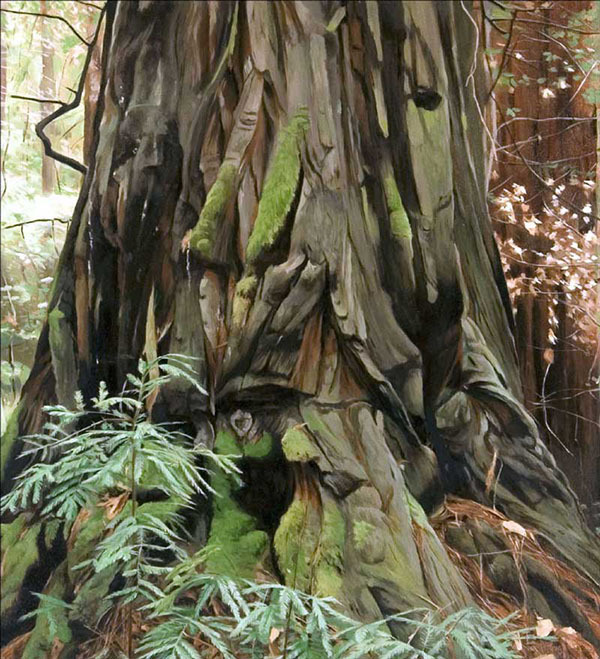 Sequoia, oil on canvas, 30" x 36"
Tim grew up in Toronto and attended the Ontario College of Art (now OCAD University). There he studied drawing, painting, illustration, as well as other subjects such as film, creative writing and theatre arts. He took part in the Florence Off-Campus Studies Program in 1980-1981 and graduated in 1984. He has spent many years as a painter of landscapes, and of animals, wildlife and of other related subjects. Nature has been my primary source of my inspiration throught out my life. I have painted the Ontario landscape from the Georgian Bay region, Killarney, Algonquin Provincial Park and other locations in Ontario where the Group of Seven painted. These are iconic and spectacular places, with windswept pines and dramatic rocks that are emblematic of the Canadian landscape. Another part of my field of interest for many years are animals, both wild and domestic.